On the first boulder of the sector, to the opposite of the exit of the traverse of red n°37. 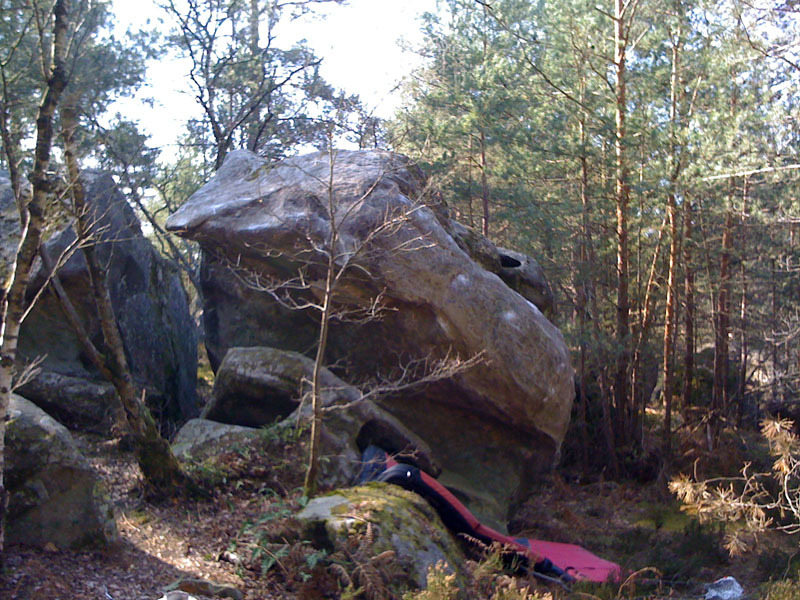 Standing start on the right, traverse on a ledge of slopers, downclimb a bit after the first angle, continue on the second face and exit at the second angle. NB : without the pedestal.